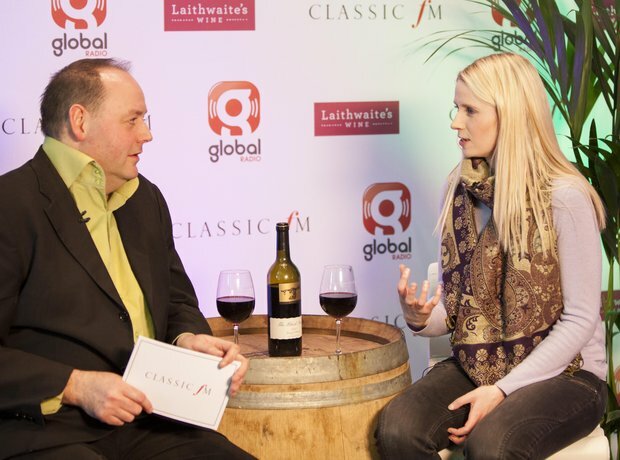 The Classic FM team, Laithwaite's Wine, and a host of classical music's brightest stars are in the Wales Millennium Centre to celebrate Valentine's Day - join us and take a look around the venue for tonight's Classic FM Live concert. This is where we're doing all our backstage interviews from - as you can see, we're keen to make our guests feel as refreshed as they can be. We're in the bar (where else would we be?) at the Millennium Centre, with a gorgeous view. 6. Welcome to Classic FM Live! Making sure everyone feels welcome when they arrive at the Wales Millennium Centre. Can you guess the theme for Classic FM Live this February 14th? We're keeping it very firmly under wraps, obviously. This picture, snapped by Louise Davies, captures the atmosphere before the concert starts. Soaking up the atmosphere in the Wales Millennium Centre, the guests chat in the interval - enjoying a glass of wine. The surroundings for tonight's concert are truly stunning - here's a pic of the harbour just outside the Millennium centre. The Wales Millennium Centre looks splendid in the morning sunlight (before it started raining, obviously). The interior of the Millennium Centre, where the stars will take the stage. Giving us a quick burst of the Rach 2 ahead of her performance tonight, it's HJ Lim! The Millennium Centre is surrounded by some beautiful architecture. No prizes for guessing where we are - even the decor in the foyer is proudly Welsh. This beautiful metallic sculpture hovers above the ground in the Millennium Centre as visitors arrive - at the moment, there's a live recital going on in the foyer! We're fully settled in at the Millennium Centre now - we've even put banners up outside to let everyone know we're here. 33. Wynne, is that you?! The corridors of the Millennium Centre are covered in pictures of previous performances. Performers, presenters, and management all come together after the show - and it's smiles all round. 35. The stars of the show! Claire Jones, Jamie Crick, Margherita Taylor, John Suchet, HJ Lim, Jane Jones, Wynne Evans and John Brunning enjoy some well-earned drinks after Classic FM Live.